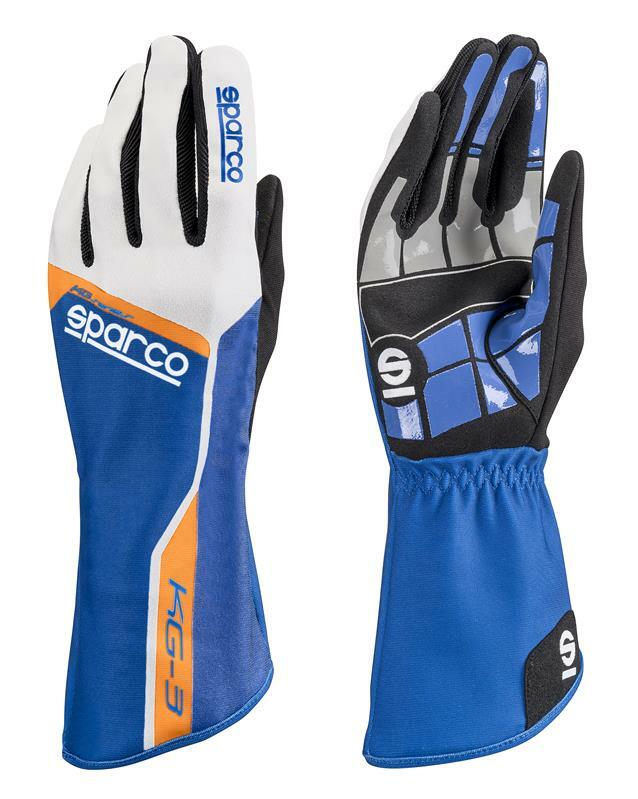 Track KG-3 kart gloves feature internal stitching and high grip silicon printed palms. COMPOSITION: elasticised fabric with palms in combined material: synthetic suede with printed silicone for excellent scuff resistance. The printed areas were specifically designed to improve grip of the steering wheel. Pads between the fingers provide better breathing. Suede pullers to facilitate dressing. 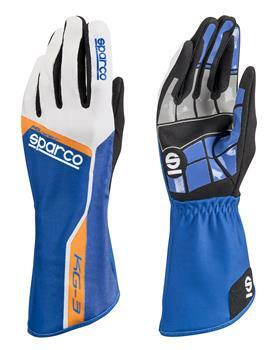 Elasticised wrists for a perfect fit. Can be personalised from stock.